Producer Jennica Harper is working with Dimaline to develop the series for Thunderbird Entertainment Group. 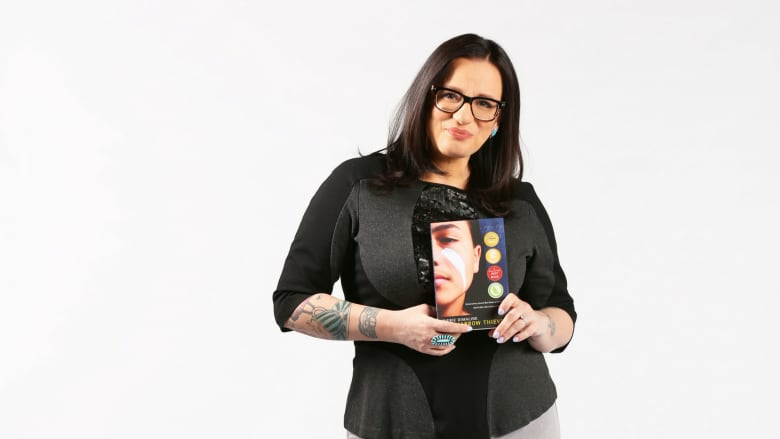 Cherie Dimaline's YA novel The Marrow Thieves is being adapted for television. Dimaline is writing the first season and will be an executive producer for the show, working with Jennica Harper to develop the series for Thunderbird Entertainment. Alexandra Raffé and Ivan Fecan are also executive producers on the project. The adaptation was originally announced in May 2018. The novel is set in the near future where Earth has been ravaged by climate change and a new iteration of residential schools has sprung up. Protagonist Frenchie is a highly resourceful teenager heading north with a group of fellow Indigenous people — fleeing school recruiters hoping to harvest their bone marrow for its ability to restore dreams to dreamless, non-Indigenous masses. The Marrow Thieves won the Governor General's Literary Award for young people's literature — text, the Kirkus Prize for Young Readers, the CODE Burt Award for Indigenous young adult literature and the young adult category of the Sunburst Award for Excellence in Canadian Literature of the Fantastic. It was defended by singer Jully Black on Canada Reads 2018. It was also the #1 bestselling Canadian book in independent booksellers across Canada in 2018, according to data collected by Bookmanager. Harper has worked on shows such as the crime dramas Cardinal and Motive and is the showrunner for Jann, a comedy premiering later this year based on the life of Jann Arden. She has been nominated for a Canadian Screen Award and has won a WGC Award for screenwriting for her work. Thunderbird Entertainment's credits include Blade Runner 2049 and season two of Kim's Convenience. "The Marrow Thieves is an important narrative for the Indigenous community, which is why it was essential to work with a team who will honor its messages while bringing it to life. Thunderbird and Jennica are dedicated to creating an adaptation that embodies how this book can positively impact our perspectives and I am happy to work alongside their dynamic team to share this story with a larger audience," Dimaline said in a release.